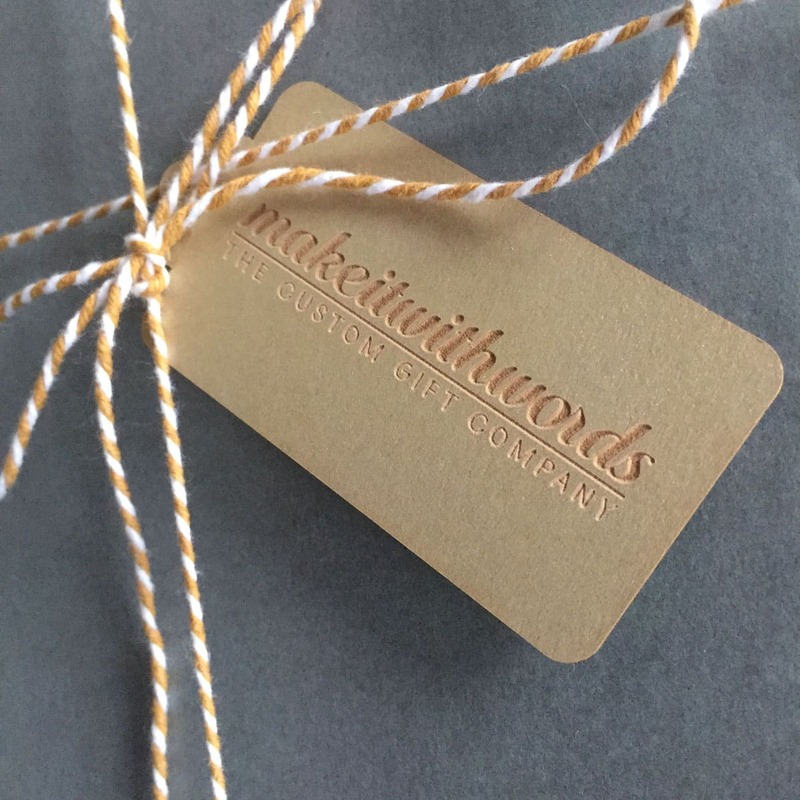 Each piece is handmade in our Dublin workshop. 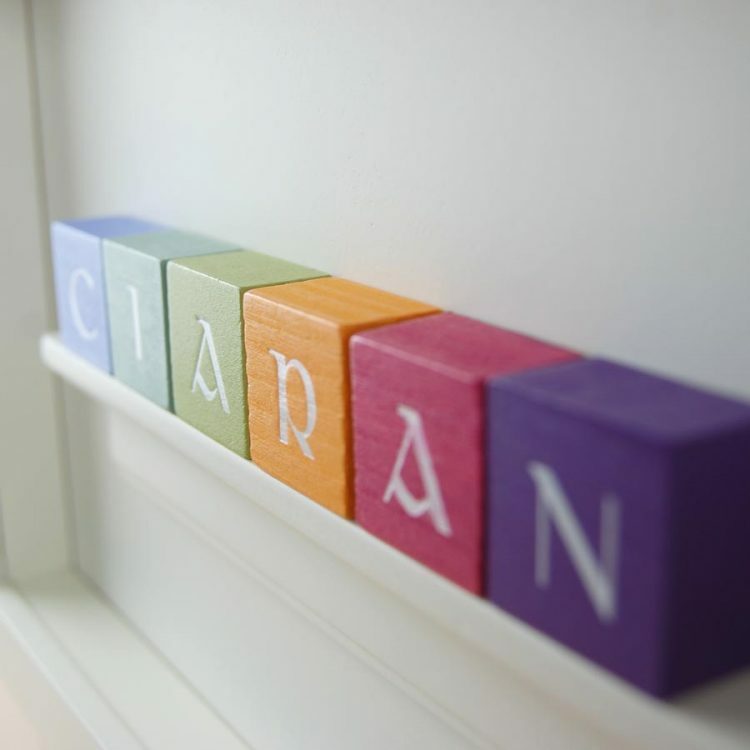 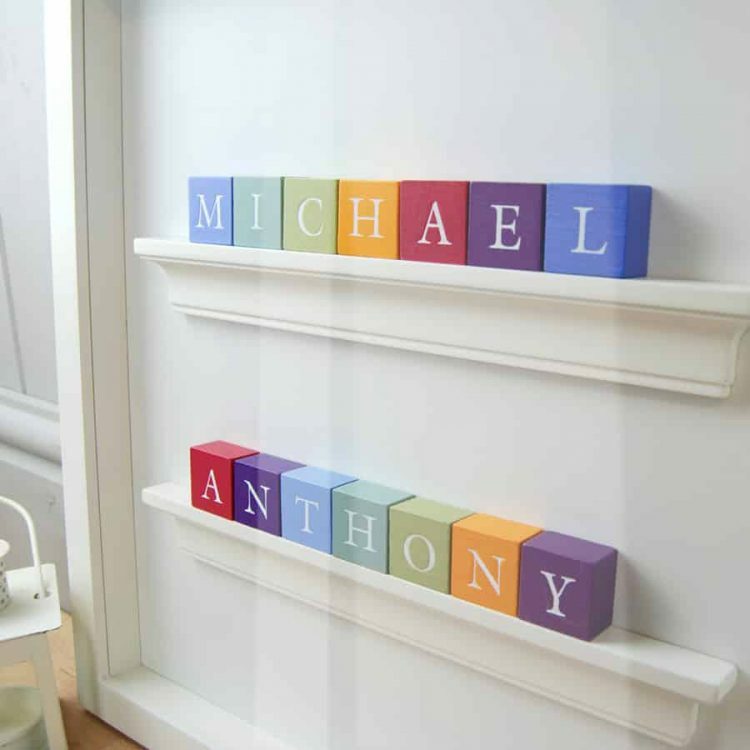 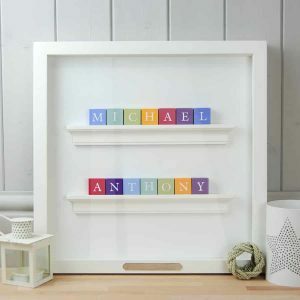 Our mini alphabet blocks come in classic or old Irish lettering so you can create something special just for them. 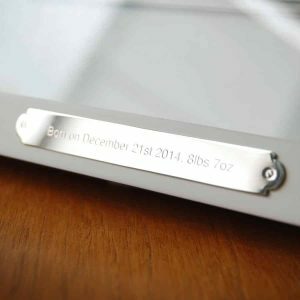 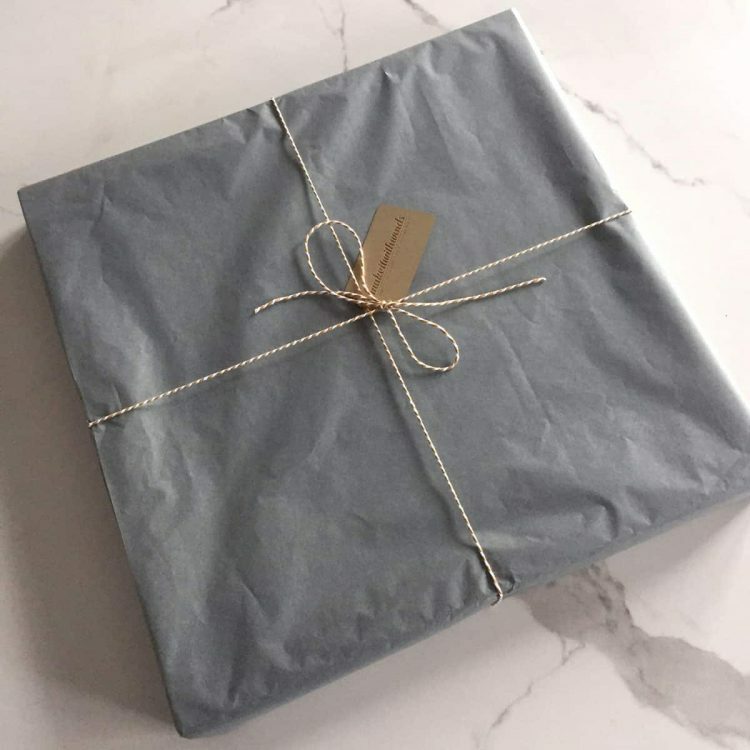 You can make it even more special by adding a date of birth or any wording of your choice on the silver engraved plaque which we attach to the frame. Your ABC block frame will arrive ready to hang with attached fixings.